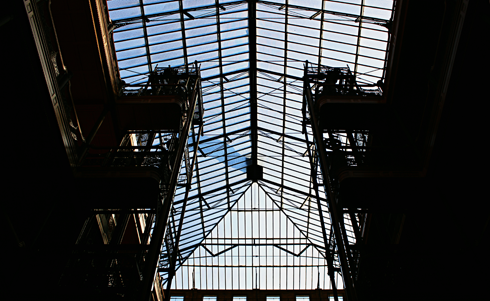 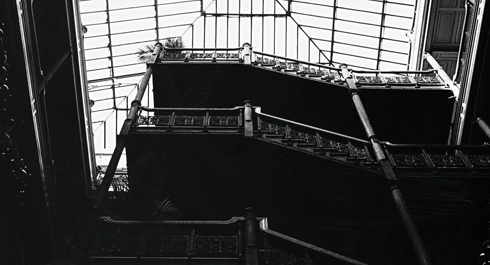 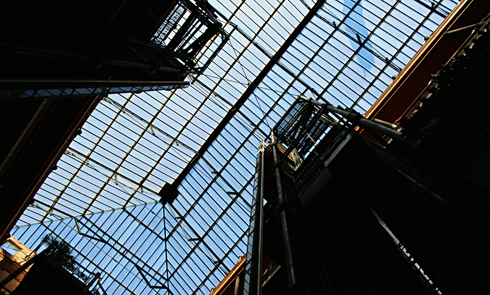 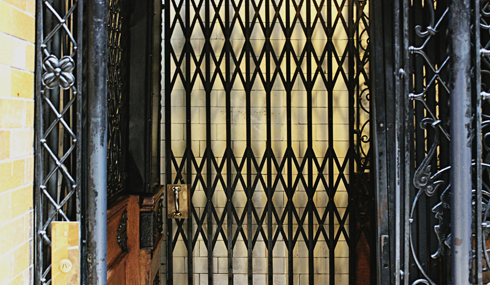 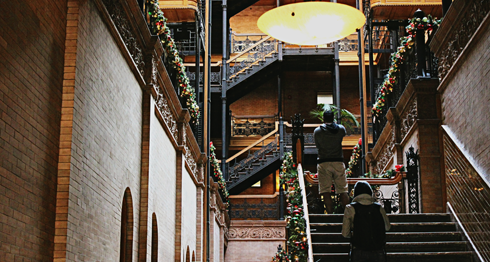 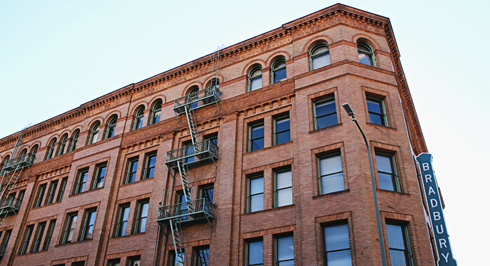 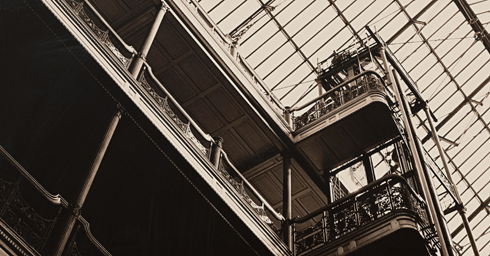 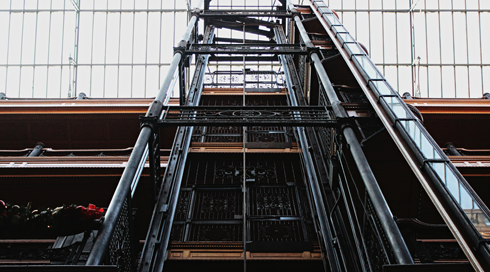 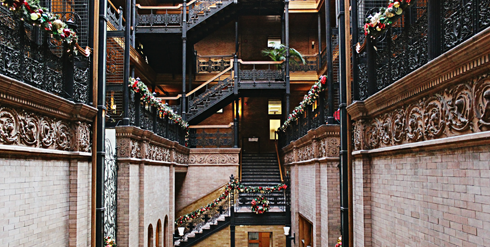 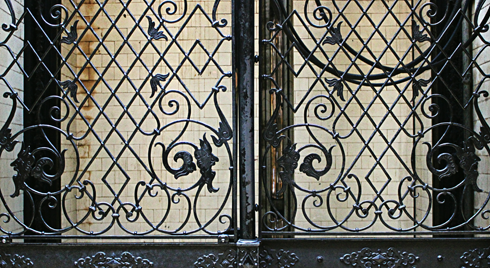 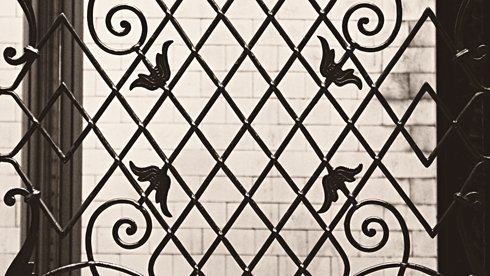 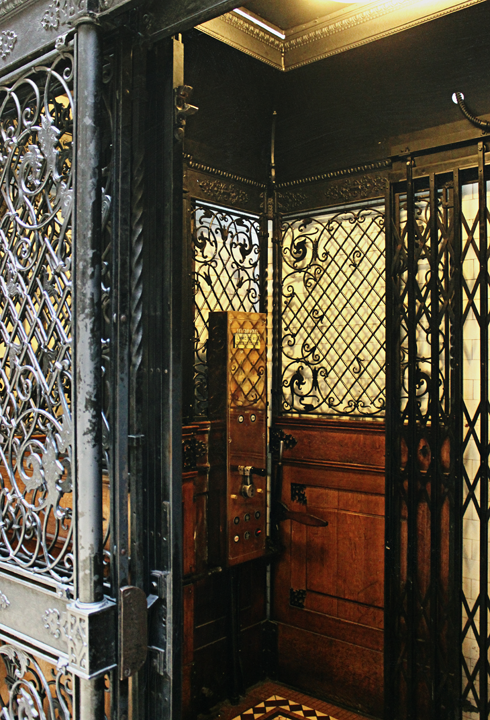 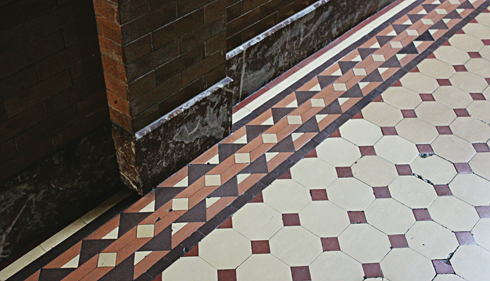 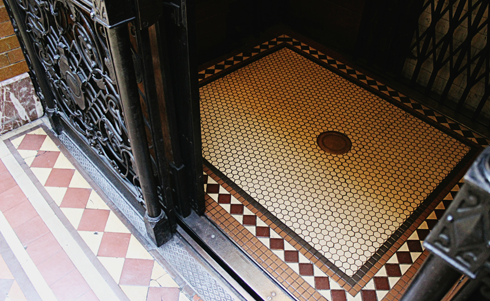 Constructed in 1893, the Bradbury Building on Broadway in downtown Los Angeles was commissioned by gold mining millionaire Lewis L. Bradbury. 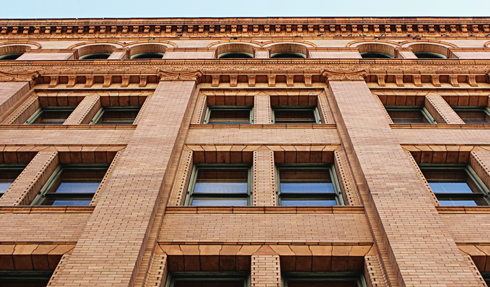 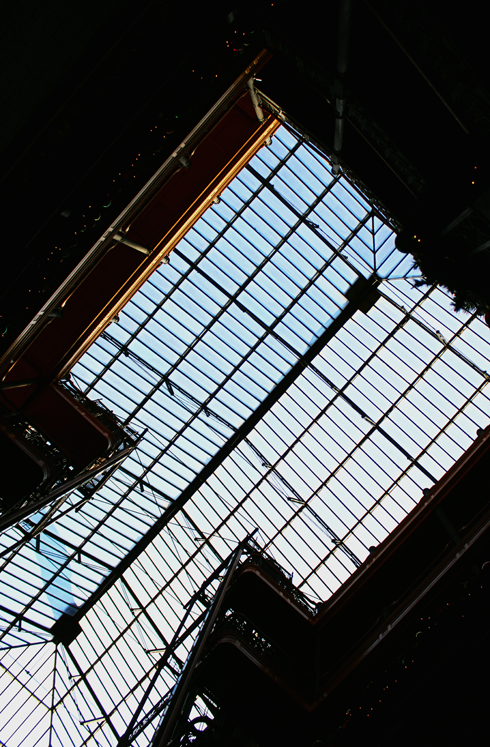 While the exterior of the building is rather unassuming, the interior is what makes the structure an architectural landmark. 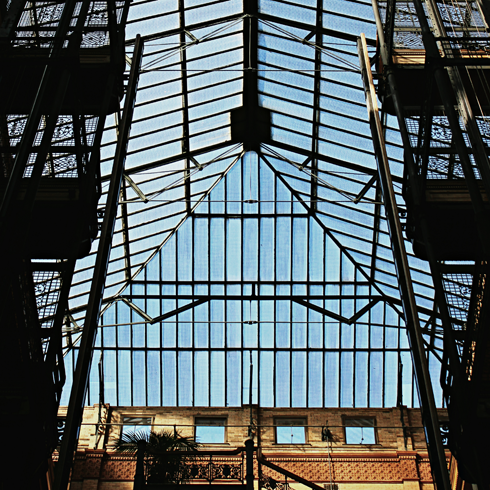 Exposed staircases and elevators, ornate wrought iron railings, polished wood and marble, and a massive skylight overhead all combine to make a strong impression. 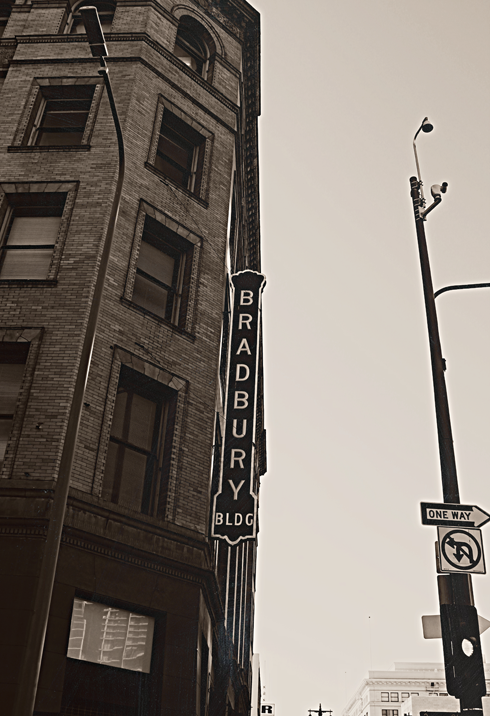 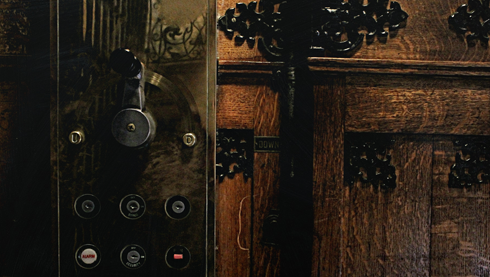 As a result, the Bradbury has been featured in a variety of films over the years. 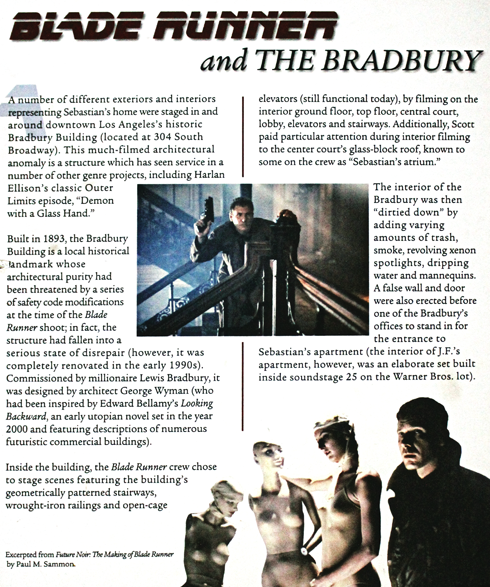 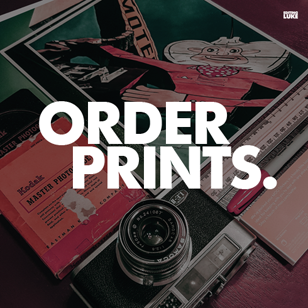 One of the most notable is Ridley Scott's Blade Runner (1982) starring Harrison Ford. 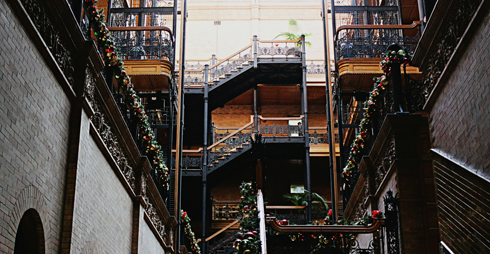 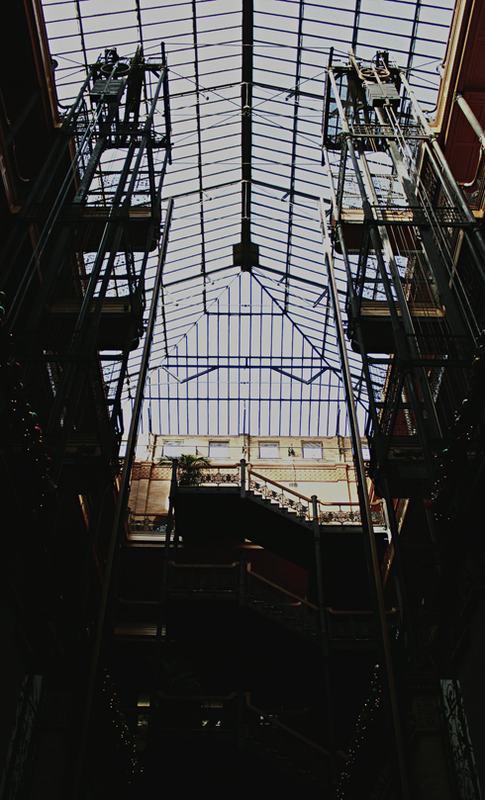 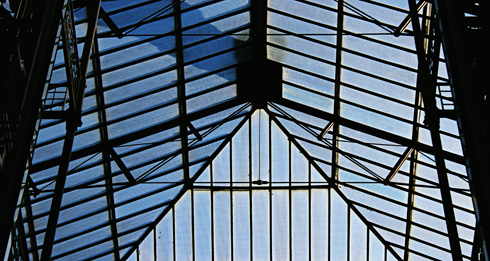 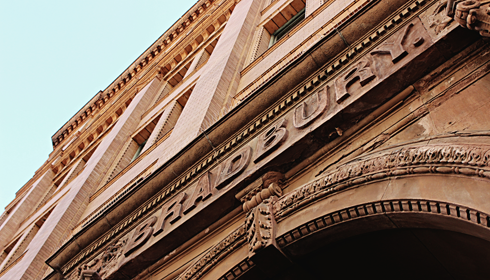 Film history aside, the Bradbury is an architectural marvel and one of Los Angeles' best preserved historical buildings. 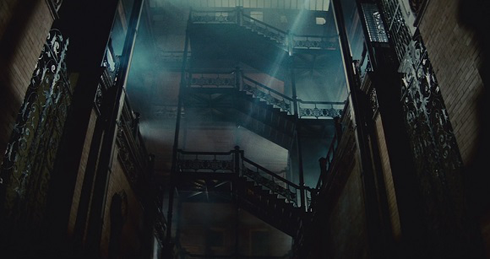 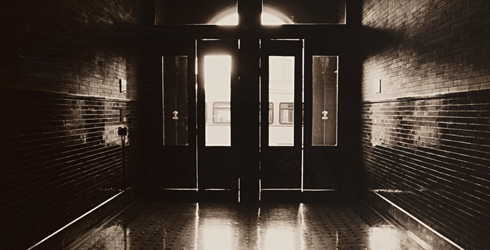 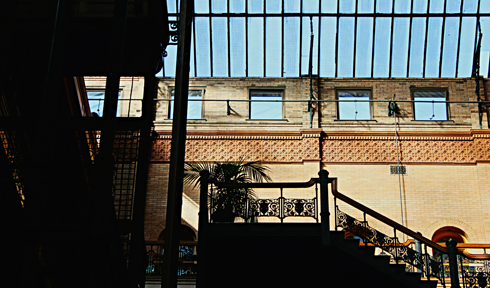 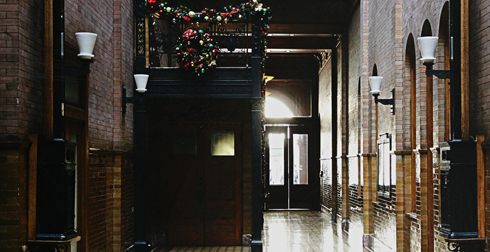 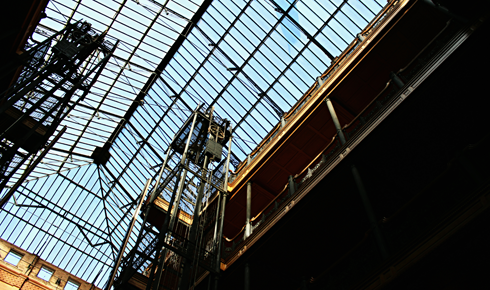 Bradbury Building as seen in Blade Runner (1982). 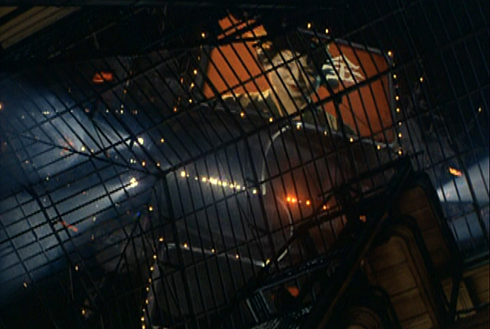 Looking up through the skylight in Blade Runner (1982).